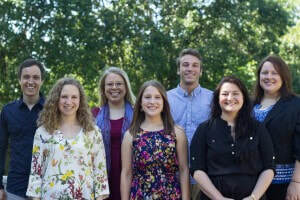 Nourish is a network of student-led chapters addressing global poverty through social entrepreneurship. Join Nourish to start businesses, partner with communities abroad, gain leadership skills, and make a lasting impact on extreme poverty. 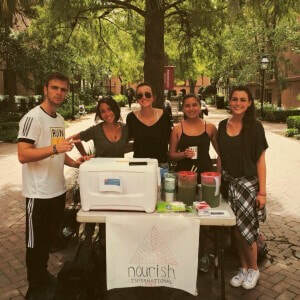 Is there a Nourish chapter at your school? Check here. Want to learn more about Nourish’s mission? Check it out here. Check out Syracuse University’s International Project with GHNU and University of Pittsburgh’s collaboration with Maya Traditions Foundation from Summer 2015! If you’re interested in founding a Nourish chapter, please fill out this form, and we’ll be in touch to discuss the next steps! You will need to submit a resume and short-answer questions. There is a $15 application fee, which counts toward your Summer Institute registration if you are accepted. As part of the application process, we ask every applicant to build a core team with two other individuals who are committed to helping you found the chapter. There will be a place to list these individuals on your application, but they do not have to fill out an application themselves. There is also the option to apply as a group. In a group application, two, three, or four people can each complete an application that we will consider together. Applying as a team can strengthen your application as it shows strong interest on your campus and a dedicated group to start the chapter. If you are applying as a group, there is a place to mark that on your application and each member of the group applying must pay the application fee. What is Nourish looking for in an applicant? We are looking for motivated students with an interest in global development and social entrepreneurship and a history of achievement. Students need to be willing to put in the hard work to get a chapter up and running and have skills in team management and leadership. I’m only a freshman. Does that hurt my chances? No, actually, it helps because you have three years left on your campus to really establish your chapter. In your application, feel free to mention your accomplishments from high school. How much of a time commitment will being a Chapter Founder entail? Founding a chapter will likely be very time consuming. Students should be prepared to designate it as their number one priority outside of schoolwork and classes. That being said, it will be an extremely rewarding and valuable experience! Anyone who will be on campus through the spring semester of 2017, including seniors and graduate students. We encourage students to apply together and co-found a chapter. What if I want to study abroad for second semester? You will need someone to apply with you as a Co-Founder so that there is continuity in leadership for the full 2016-2017 school year. What kind of training and support will I receive from the National Office? All new chapters receive $500 in start-up capital, one-on-one mentoring for leaders in the chapter, access to the Nourish Network of students and alumni, and a number of other programs to support you and further your impact. We also require all Chapter Founders to attend the Summer Institute. This provides you with the tools that you need to start your chapter! It is a rolling application process; you will hear back 2-3 weeks after submitting your application. 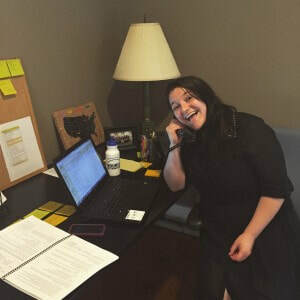 How do Nourish chapters select their community partners and projects? Nourish chapters form partnerships with international community-based organizations to collaboratively work on a sustainable development project directly addressing poverty in that community. Chapters search for community partners primarily through past Nourish partnerships cataloged in an online database. Chapters and the National Office work together to analyze the organization and possible partnership based on our project criteria. How do Nourish chapters pay for the project? All the funds that Nourish chapters earn through ventures are invested directly in the project. 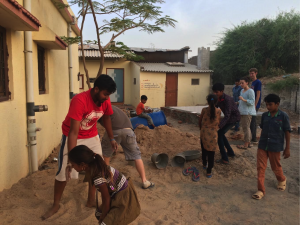 Students traveling on the project are responsible for their own travel and living expenses. These costs vary depending on the location of the project and whether or not the community partner provides accommodations. The National Office runs the Bridge Scholarship Program to provide scholarships for exceptional students demonstrating financial need. What happens next if I’m selected? If you are selected as a Nourish Chapter Founder, you will receive some training over the summer. Then, at least one member from your new chapter must attend our Summer Institute in August. This is a time to connect with and learn from current, past, and new Nourish students on how to run Nourish on your campus.This training institute provides you with the tools that you need to start your chapter! The cost is $225 – $250, which covers lodging, meals, all workshops, speakers, materials, and activities for the full 5 days. Institute attendees are responsible for their own transportation to Raleigh, NC. Nourish has absolutely changed my life for the better in more ways than I can count. The people in Nourish have impacted me the most though. Nourish is my family. I have Nourish family all over the country, in Canada, Cameroon, and Ecuador. When our Nourish members say “Nourish Love” it has a meaning that nobody could truly understand unless they’ve experienced Nourish Love firsthand. -Maxie Wirtz, former Ohio State University Chapter Leader and current Nourish staff member.